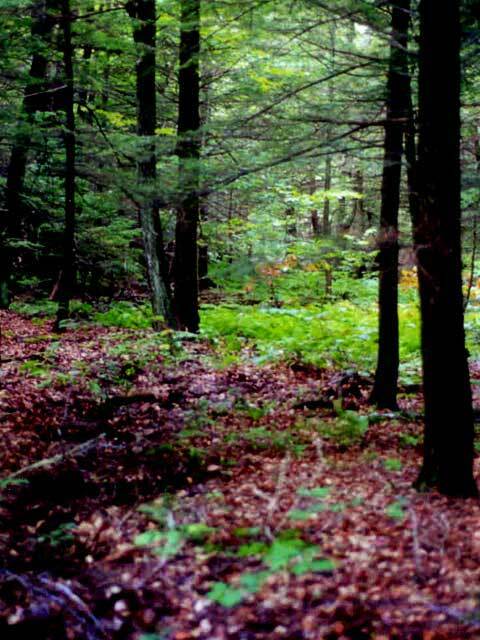 With the help of a 1031 like-kind exchange and a bargain sale, NEFF matches a conservation investor and willing seller to conserve 656 acres of forest in Charlemont and Rowe Massachusetts. 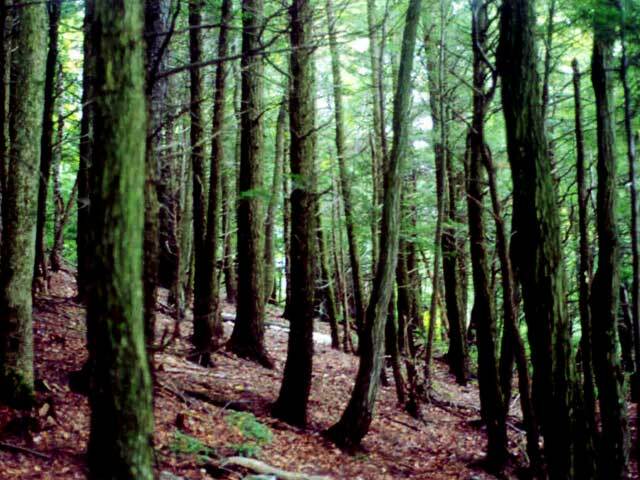 New England Forestry Foundation (NEFF) is a non-profit land conservation organization that specializes in active forest management and conservation. Its mission includes education and outreach, land conservation, easement stewardship and monitoring, and promotion of sound forest policies. The project profiled in this case study is just one example of the many conservation easements NEFF holds on over 1.1 million acres on 109 different properties1. 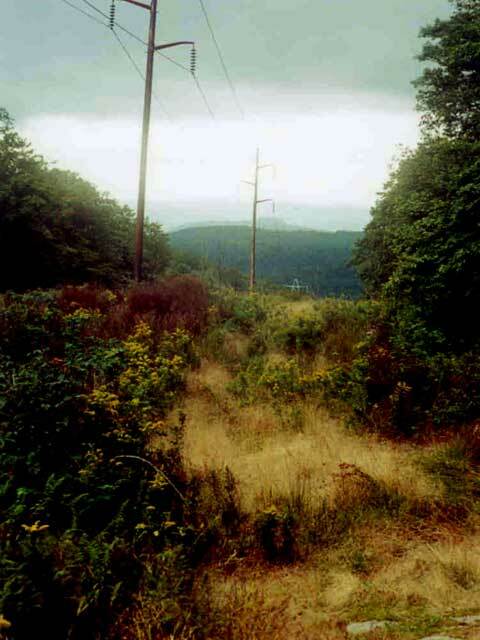 Over the years, Ed Pepyne purchased parcels of forest land in Charlemont and Rowe for his family from various owners. By 2001 the total contiguous area of land Ed owned was 650 acres. 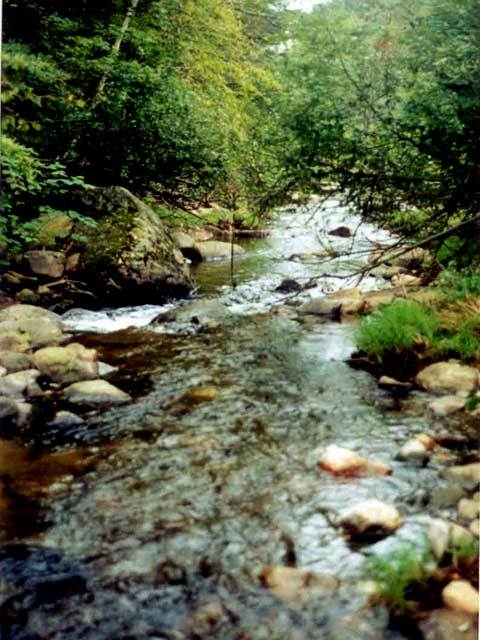 This beautiful parcel of forest land features a mix of softwood and hardwood trees, 1,800-feet elevation and dramatic slopes, the headwaters of four streams, and moose, black bear, wild turkey, deer, fisher and other wildlife. It straddles the borders of both towns with no roads dividing the parcels. It is abutted by other conservation land. Kevin Knobloch and Elizabeth Buchanan, husband and wife, owned property in Washington, D.C. and were in the process of selling. In order to take advantage of the IRS 1031 method of exchanging property holdings without paying capital gains taxes, they were looking to purchase another property in order to preserve their investment. Kevin Knobloch is the President of the Union of Concerned Scientists in Cambridge, MA and had a relationship with Keith Ross, who was running the land protection program at NEFF. Kevin and Elizabeth are conservation-minded. Whitney Beals, Director of Land Protection at NEFF, characterizes conservation buyers as conservation-minded individuals who want to diversify their investment portfolio with long-term timber returns, and who also are willing to reduce initial investment through the donation or sale of a conservation easement. Kevin and Elizabeth fit this description nicely. A bargain sale is the sale of land to a qualifying non-profit entity for less than the fair market value. The difference between the bargain sale price and the fair market value is considered a donation and may be tax deductible. Regardless of the tax benefits, a seller who agrees to a bargain sale is typically someone who cares about land protection and conservation. A Like-Kind Exchange is defined by the IRS as an exchange of similar business or investmentassets, on which capital gains may be tax-deferred. It is a method by which an investor can roll profits from the sale of one property into the purchase of another property without paying federal income taxes at that point of sale. A conservation easement or conservation restriction is a legal agreement between a landowner and conservation organization that permanently limits uses of the land in order to protect its conservation values. It allows a landowner to continue to own and use the land, but it limits some of the development rights. Donating a conservation easement reduces the value of the land and is considered a charitable donation. This donation may be tax deductible. 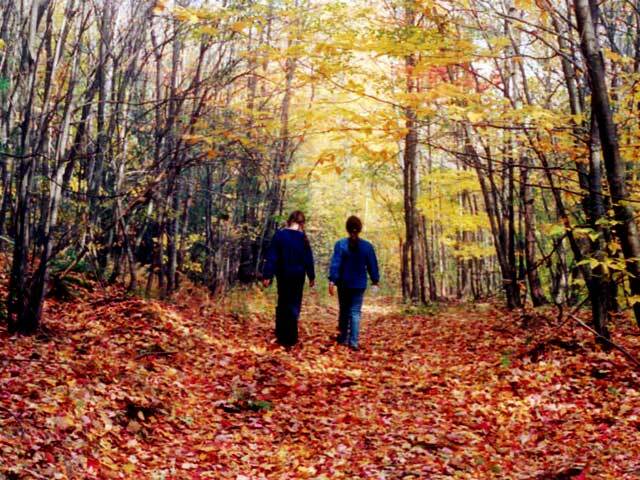 In September 2000, Keith Ross, director of land protection at NEFF, negotiated a purchase of 656 acres in Charlemont and Rowe, MA from Ed Pepyne for $292,200. The price was negotiated based on certified appraisals and was a bargain sale, significantly below market price. NEFF held the property and floated costs internally while it identified potential conservation buyers. The first seriously interested conservation buyer backed out of the negotiations at the last minute. conservation investment opportunities. Kevin and his wife Elizabeth were interested in purchasing land for conservation and investment purposes. Additionally, they had property in Washington, D.C., that they were in the process of selling, and were interested in rolling the equity from this sale into the purchase of another property to postpone capital gains taxes. Kevin and Elizabeth agreed to purchase the land from NEFF for $328,000. This sale price included the costs NEFF incurred during the time it owned the property and a contribution to the conservation easement monitoring fund. Kevin and Elizabeth also agreed to put the land under a conservation restriction at the time of purchase, for both personal and financial reasons. The conservation restriction prohibits development of the land for residential or business purposes, but allows the land to be managed for timber products in a sustainable way. The sale enabled Kevin and Elizabeth to defer capital gains taxes on the sale of their property in Washington, D.C. Some buyers of conservation land are also able to use the reduction in property value (i.e. the development rights) from the donation of the conservation easement to claim an additional tax deduction. Because in this instance NEFF sold the property to Kevin and Elizabeth at the “bargain sale” price that they purchased it (plus NEFF’s project costs), the development rights were already removed from the equation and the new owners did not claim a tax benefit for establishing the conservation restriction. ; They do benefit from lower property taxes as a result of the elimination of most of the development value. The land’s enrollment in the Commonwealth of Massachusetts’ chapter 61B program – designed to help landowners stave off development pressures and maintain “working” forests – also helps keep local property taxes low. 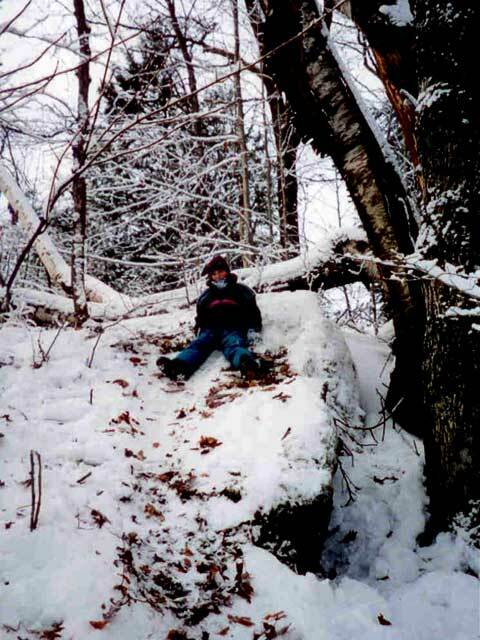 NEFF sold the land to Knobloch/Buchanan in late February 2001. Knobloch/Buchanan reimbursed NEFF for the amount NEFF paid to Ed Pepyne plus an additional amount of approximately $30,000 to cover costs and set up a conservation easement monitoring fund. For tax reasons, the sale price of the land was $292,000, equal to the amount that NEFF had paid Ed Pepyne. The additional $30,000 to cover monitoring and accrued costs was received by NEFF in the form of a donation. At the time of the closing Knobloch/Buchanan donated a conservation restriction on 610 acres. They reserved 46 acres from which they have the right to select two future house sites; a conservation restriction will eventually be placed on an additional 43 acres after the house sites are chosen. The conservation restriction was donated at the time of closing on a voluntary basis and was not in the purchase and sales contract. This was done to ensure that the full tax benefit from the donation could be realized. Structuring the easement donation into the purchase and sales contract could have jeopardized the charitable gift status, and therefore the tax deduction. The 653 acres will remain in Chapter 61 under active forestry with a sustainable timber harvesting management plan. NEFF holds and continues to monitor the conservation restriction on a yearly basis. The property is open to public access by permission of the owner2. Although there have been some problems with dirt bikes and ATVs causing extensive erosion of the shallow topsoil that covers much of this high-elevation land, the owners have given permission to a local snowmobile club to use the property and maintain open access. Hiking, hunting and other passive recreation are allowed. This case is an example of multiple stakeholders each reaching their individual objectives and together contributing to land conservation. Ed Pepyne was able to reduce his tax burden through a bargain sale and ensure that the land he had acquired and owned through the years was protected permanently. Kevin Knobloch and Elizabeth Buchanan were able to defer capital gains taxes on property sold in Washington, D.C. by purchasing the Pepyne property. This property will also serve as a long-term investment. Finally, they were able to take actions that reflected their values by ensuring that the property would remain forestland permanently. 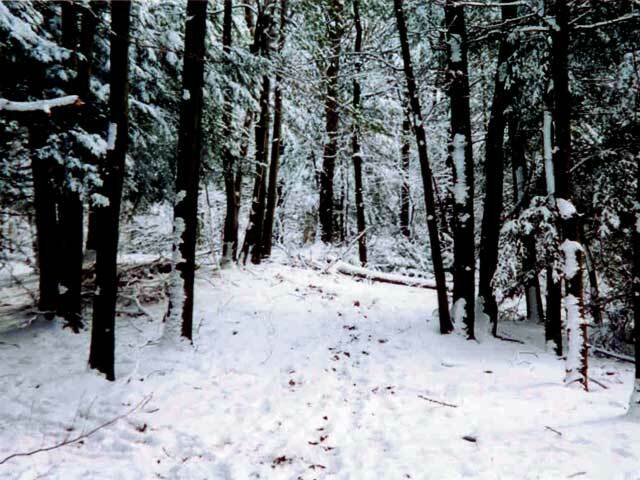 True to its mission, NEFF was able to assist in the protection of 653 acres of forestland. It was able to achieve this with minimal expense. The only overhead from this project that remains for NEFF is the monitoring of the conservation restriction for which it received funds from the sale dedicated to this endeavor. New England Forestry Foundation. 2006. Accessed on 28 April 2006. Conservation-minded investors can contribute to land conservation by purchasing land and donating conservation easements. Tax benefits from bargain sales and/or the donation of conservation easements can be substantial enough to encourage and facilitate conservation. Conservation organizations can act as intermediaries between conservation- minded sellers and investors; the result will be independently owned and protected land. The benefits to a conservation organization from matching conservation-minded buyers and sellers can be two-fold: land is protected and little or no funds are needed for the purchase. Ed Pepyne purchases various parcels in neighboring Charlemont and Rowe, MA totaling 656 acres of forest. New England Forestry Foundation purchases the property from Ed Pepyne. First conservation buyer backs out of deal. Kevin Knobloch contacts NEFF with interest in conservation buyer/investor opportunities. Kevin Knobloch and Elizabeth Buchanan sign purchase and sale agreement with NEFF. Immediately after closing, Knobloch/Buchanan donate conservation restriction on 610 acres to NEFF. A conservation restriction on 43 additional acres will be donated to NEFF after the two house lots are sited. NEFF will monitor conservation restriction annually.